At The Needle Bug, your shopping experience is very important to us. You may order by phone, email info@theneedlebug.com or on our website shopping cart. Just click “Shop Online!” If you would like to speak with us, please call during our regular business hours at 334-270-0064. After hours, please make certain to leave your name and a phone number where you can be reached. -We accept all major credit cards, personal checks and money orders. However if a personal check is sent, the order will not be shipped until check has cleared. -Canvases and threads that are in stock will ship within two to three days after order is placed. If item(s) are backordered, please allow 4 to 6 weeks for delivery. We will notify you via email if a longer delivery time is expected. -All canvas sales are final. -50% deposit on all special orders is required. -Balance is due upon arrival of order. -All threads may be returned within 30 days in original condition for store credit only. -Threads with purchase date of more than 30 days may not be returned. 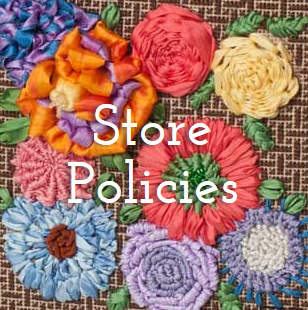 -Sale items, special/custom orders and custom stitch guide are not eligible for return. -Shipping and handling charges are non-refundable. -For any orders that arrive damaged or faulty, please save all packaging, contents and contact us at orders@theneedlebug.com before returning merchandise. -Postal/Freight charges will be included the total. Shipping will be priority mail or UPS. -Stitch Guides - Custom stitch guides are available. Stitch guide is priced by page. Some canvases have stitch guides available from the vendors or other designers. -Colors may vary from their appearance on the website. All sizes are approximate and may vary slightly. -From start to finish, The Needle Bug is here to assist you! Ornaments, stockings, pillows and purses! Belts, bracelets and so much more! We can make it into a needlepoint treasure, but please allow a minimum of six weeks for most finishing. Some items such as belts, shoes, etc. require additional time. 2019 Finishing due dates are listed under our Services. -All classes require a 50% non-refundable deposit to reserve spot unless specified otherwise. -Prices on out of stock items are subject to change. Price increases may occur throughout the year, therefore, we do reserve the right to pass on the new price regardless of what the website states. -Any issues with an order needs to be brought to our attention within 30 days. NOTE: We take your privacy very seriously and we will never sell, rent or otherwise distribute the information you submit on our website. You can rest assured that your personal information, including your email address, will be kept in strict confidence.